As we finish up this first month of a brand new year, schedules have settled, kiddos are back in routine, and it’s time to get creative with your activities. Music is universal thread that unites and inspires. It’s the soundtrack to our lives. Here’s why you or your mini musician should be making music in lessons this year. Creativity- Students taking lessons in our studio experience making music the first session. They’re encouraged to improvise using the piano or singing melodies. They use their bodies to feel rhythm. They start learning patterns on the keys or with their voices. They create immediately. They have a blast while the creativity center in their brain lights up like fireworks to release endorphins. Commitment- Learning a musical instrument requires commitment both personally and as a family. Our job is to train students who love making music. That doesn’t happen overnight. 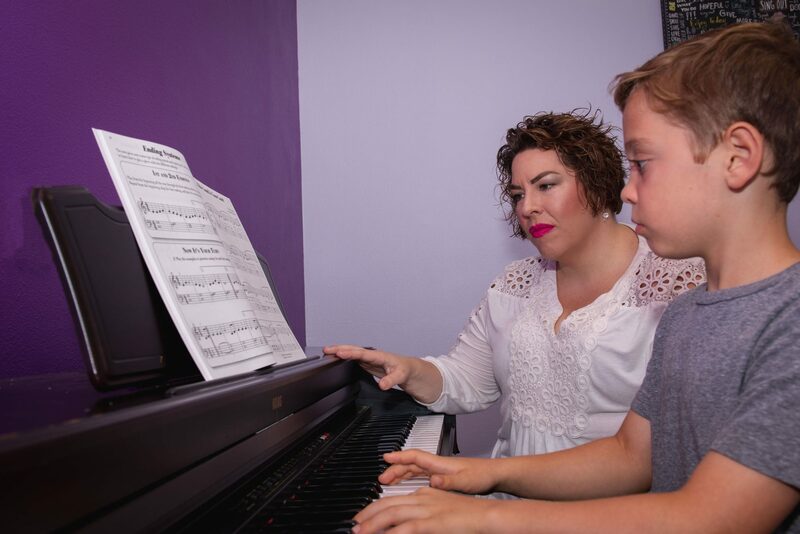 Starting music lessons develops a song work ethic and pays off by completing books, performing in recitals, and giving them achievements they own. Problem solving skills- Your student is here 45 minutes a week. They’re given the tools needed to succeed at home. We use practice plans and teach effective practice habits in lessons. By doing so, kiddos (and adults) learn independence and gain confidence in their own skills. Confident students worry less about making mistakes and focus more on making music! Motor skills improvement- Playing piano or guitar helps improve hand-eye coordination. How? It engages and connects both hemispheres of the brain leading to improved fine motor skills and better memory recall. This process also creates new neural pathways that aid in problem solving and can even help boost test scores. Music also makes you feel good. Only 10 minutes of singing or playing a day can help improve mood, decrease blood pressure, and create an increased sense of well-being and joy. Fearlessness- Our goal is to abolish stage fright. Learning to perform without fear not only builds confidence, it helps students be more comfortable with public speaking and leadership roles. By offering four recital showcases a year, our students have multiple opportunities to hone their performance skills while having fun. These aren’t like the recitals you were forced to do as a kid either. Our recitals are innovative, eclectic, low on stress, high on fun. At least two recitals a year are themed. Our Totally Awesome 80’s show is right around the corner! We’re teaching in a new millennium to students who have a zillion distractions vying for their attention. Using all the technology and modern resources available, we’re adapting to students’ needs, not the other way around. We’re partnering with parents to help raise amazing, well-rounded young people. So here’s the deal. If you’re like me, you suffered through years of lessons that were less than inspiring. You stuck it out because your parents wanted you to. These aren’t your grandma’s music lessons. When are you coming for a trial lesson? “The Long Game” – noun- active participation in achieving goals which may take some time. I grew up in a musical home with my mother playing piano all the time and being the organist at our church. 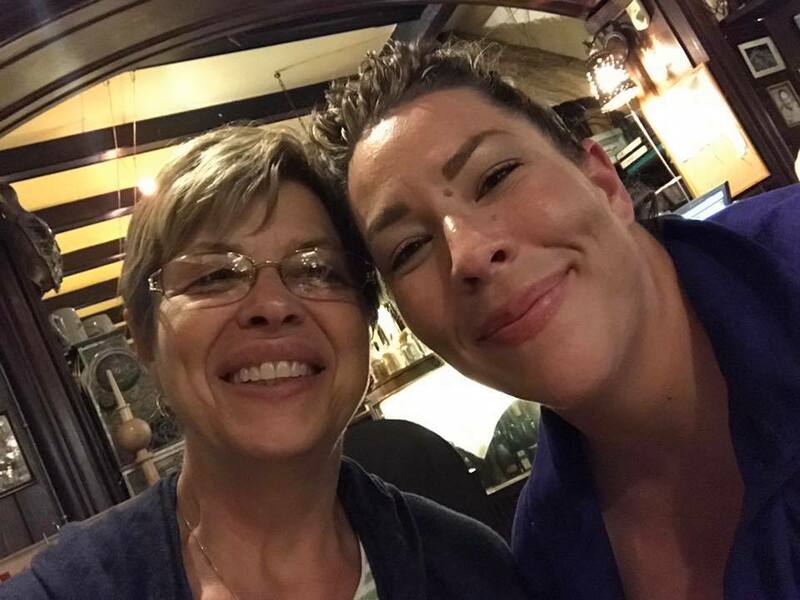 She made a deal with me when I was a little girl that I’d take piano lessons for six years because that’s how long she took piano lessons. Sounds like a dubious deal to make with a six year old, no? I was a disaster of a student. I don’t even remember my first piano teacher because I wasn’t with her very long. All told, I think I went through 3-4 teachers my first year of lessons. I don’t remember, I just know it was a lot. I hated to practice, but dutifully, Mom would set the microwave time for 30 minutes, and I’d trudge through my books. We made a deal, a deal I wasn’t allowed to break. 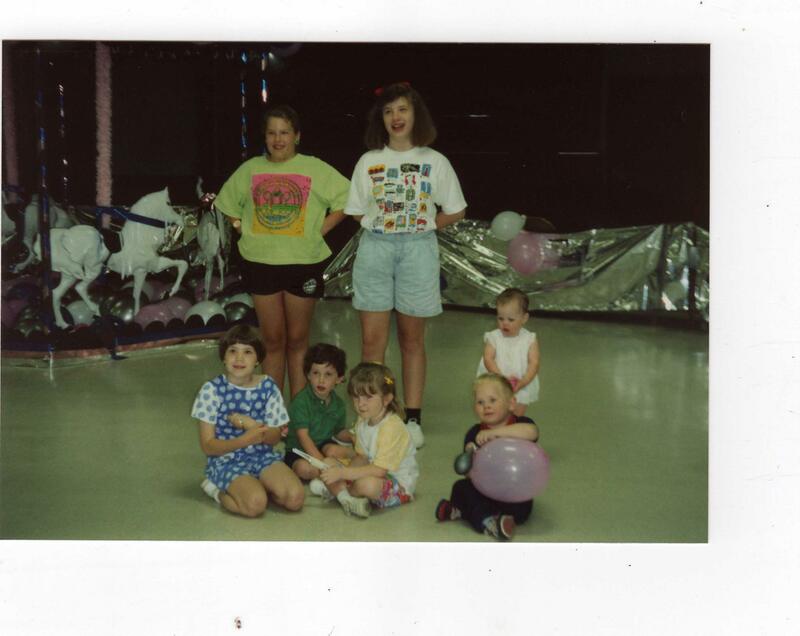 My mom pretty much had to hog tie me to the piano bench for at least the first two years of lessons, but she persisted. One of those first unlucky piano teachers of mine ended up also being my elementary school music teacher, then middle and high school band director. Mrs. Parker was one of the loudest voices in my music education (not only because there was a portable speaker she carried around) because she encouraged me to do what I do. Fast forward 31 years from my first piano lesson to last weekend. Mrs. P. had kids. One of those kids moved from our hometown in Ohio to Orlando where she lived with me whilst getting settled. She fell in love, got engaged, and got married. Who do you suppose played the piano for their wedding ceremony? Me. The disaster of a piano student who turned into a disaster of a teenager, who barely made it through college with a music degree because I hated it so much. But I loved music. I kept going because I loved music so deeply that I couldn’t imagine living a day of my life without making music. Being able to close the loop on my music education is such a way isn’t possible to put into words. It was fulfillment of my destiny. Cheesy, I know. Don’t judge me. My teacher played the long game with me. So did my mom. God bless them both. Playing an instrument or learning to sing isn’t instant. Yes, we can teach things instantly. Learning, really learning the craft of making music takes years, a lifetime even. We ask you to make at least a year long commitment because it takes developing brains a long time to integrate gross and fine motor skills with hand/eye coordination. Mastery requires repetition to build motor pathways (muscle memory). We need time to adapt to each students’ learning style. It takes practice, patience, and getting through the periods of forcing your kiddo onto the bench, even if it’s only for 10 minutes, or having them sing their warmups in the car on the way to school. Music lessons are a long game. Learning to be a musician is hard work that isn’t part of the comfort zone of activities. 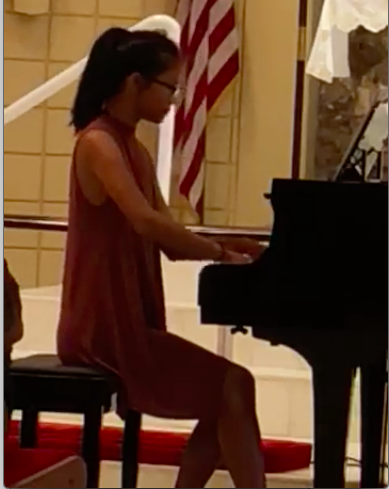 It’s a lot of nervous recitals, “you need to practice more” notes, “That was great; do it agains”. It’s not always going to be fun and it won’t be easy. But I promise you this, if you play the long game with us, the reward is a lifetime of joy. One of the most common questions we get as music educators is, “When should our child start piano lessons?” Honestly, it really depends on your kiddo. The old school answer is between 6-8 years old. Our answer is, “Whenever your little one is showing interest in music!” And we go from there. 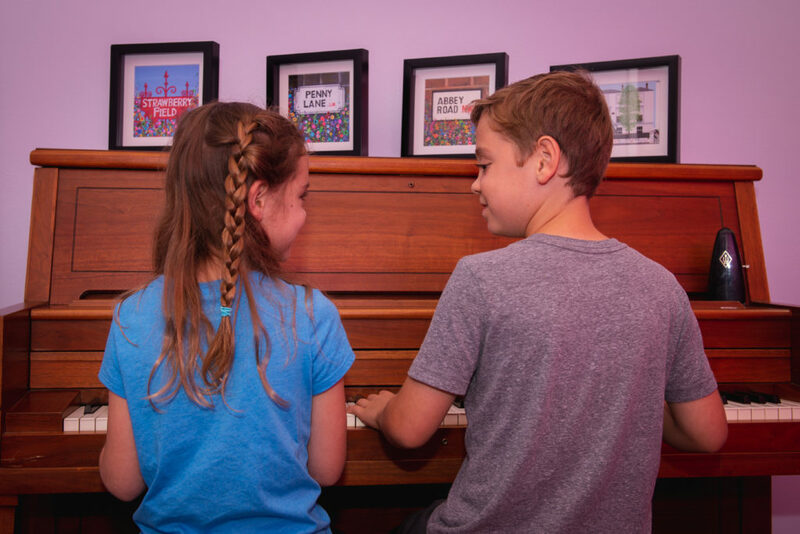 Truly, there’s no cut and dry answer to when to start piano lessons, but there are a few ways you can tell when it’s time to call us. Does your little one know the alphabet, specifically the first seven letters? The musical alphabet is A-B-C-D-E-F-G. It’s really helpful if they can recognize these letters. They’ll also get lots of practice and help writing them, too! Can your child count to five? With really young beginners (age 4-5), we focus on counting to four. But, we count to five a lot because we have five fingers, and we’ll work a lot on remembering which fingers to use and when. Can your tiny tuner focus and pay attention for 30 minutes? Yes? Awesome! No? Also awesome! We don’t expect them to. While all of our beginner lessons are 30 minutes long, we mix up our time with off the bench games, technology based games, worksheets, and practical playing time. Does your kiddo love music? Children who have expressed an interest in playing piano are more likely to be motivated to practice. Or at the very least, be motivated to have fun learning piano! Can your child follow basic instructions? Your kiddo needs to be able to follow simple instructions during our lesson time and be able to understand what we’re assigning for homework. Don’t worry, we’ll explain it to you, too! Parents need to be ready too! 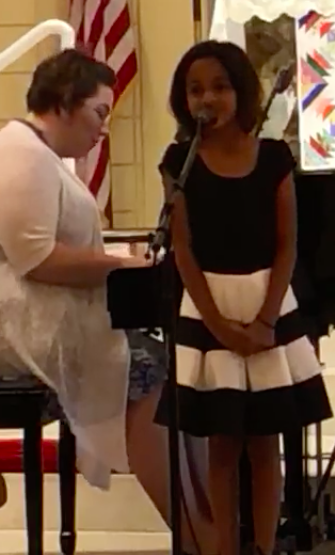 Here’s the deal: having a kiddo ready for piano lessons and having a family ready to support that endeavor are two VERY. DIFFERENT. THINGS. Really. Making the decision to start piano lessons is a big deal. Of course, we have fun. Of course, they’re gonna learn to play piano or sing. But we need your help at home! We see them 30 minutes a week, think about that. It’s the blink of an eye compared to how much time they spend doing other “stuff”. So, we rely heavily on YOU for their success after they say goodbye to PennyLane and leave our studio. Are you willing/able to help your mini musician practice? The “littles” (ages 4-6) will need help reading instructions, placing fingers, counting, and encouragement. We’re not asking for 30 minutes a day at the piano, we’re asking for 5-10. Make it part of the daily routine, and life gets a lots easier. Do you own an appropriate instrument? We don’t require an acoustic piano for lessons, but we do expect that you have something at home with black and white keys. If you don’t have at least a keyboard at home, you’ll be required to purchase one before we start lessons. It’s overwhelming; we’ll help you. Are you prepared for the cost and time commitment? 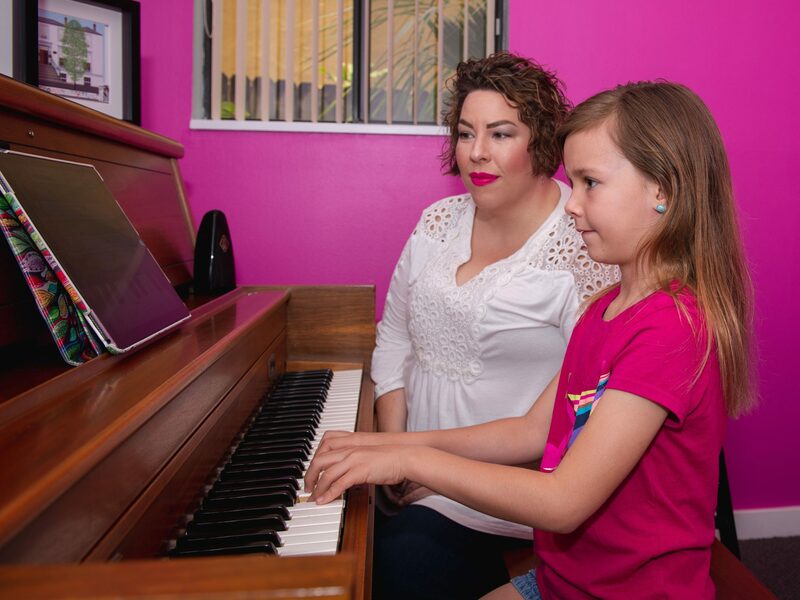 Yes, piano lessons at our studio are more fun than a barrel of monkeys, and your family will love being a part of our family. However, you’re making a commitment to your child’s education and growth as a tiny human, so we want you know that this is a long term investment in time, money, and resources that is well worth it. Learning to play piano is a life skill, that teaches perseverance, discipline, work ethic, and confidence! You’ve answered the questions. You’re excited as a family. Your mini Mozart is stoked to start piano lessons. What’s left is for you to pick up the phone and call us. We’ll schedule a trial lesson, give you a studio tour, and your family can meet our family. What are you waiting for? A Noteworthy Music Studio was founded on the guiding principal that music is a life skill. Our goal is to foster a love of music in students, no matter their age, that they can carry through their entire lives. We call it a life skill because music serves many purposes for many people. Whether it’s an emotional outlet, a hobby, a confidence builder, a stress manager, a lifestyle, or a career, the goal is to enjoy music for as long as possible. Athletic ability may fade, but musical ability never dies. The majority of our students take lessons for fun. Because of this, our expectations are very different from most traditional music lesson studios. We don’t focus on competitions and exams, we focus on teaching our students to fall in love with performing fearlessly. By giving them 4-5 performance opportunities a year, we are abolishing stage fright and encouraging fearlessness. Music students come in as many shapes and sizes as music itself. Why is this so important? Because it means there’s no “one way” to teach musical students. Every student learns differently from the next, and our job is to adapt to each learning style and customize our teaching to fit the student, not the other way around. We use the most up to date piano and voice methods designed for accelerated learning. By incorporating classical technique with modern concepts like improvisation, ear training, sight reading, and eclectic musical styles, we strive to create well-rounded musicians. We use off the bench games, technology based games, worksheets of all kinds (music math really is a thing! ), practice reading skills for our younger students, and access our huge library of song titles to keep lessons fresh every week. 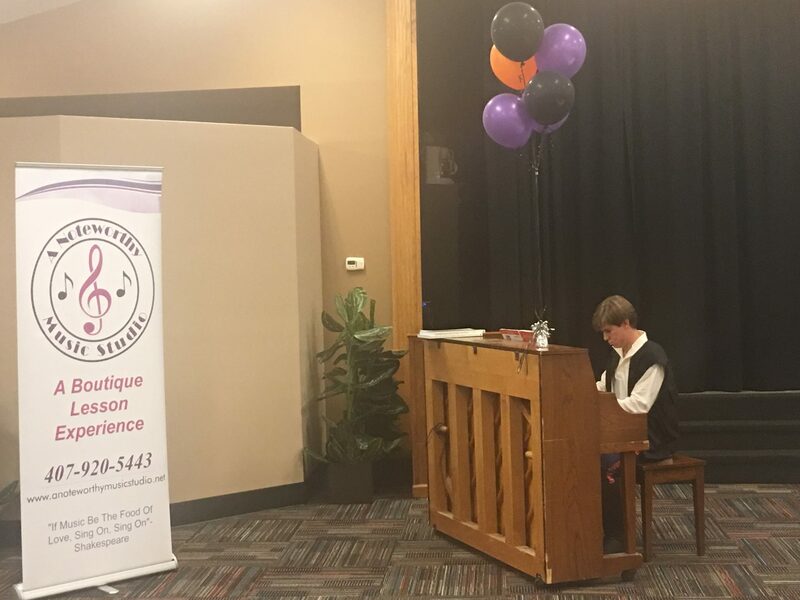 As a result, when you attend one of our recitals, you’ll hear many different genres of music performed. We encourage our students to choose their own music (we get ultimate veto power, of course), and believe students are more invested in practicing songs they’ve chosen because they have ownership of their lessons. You’ll also hear mistakes. And that’s totally fine with us. Flawless execution of a memorized classical work isn’t the goal of our recitals; perfection isn’t a realistic expectation. Fun is. What’s the vision for our students? In a word, confidence is the vision for our students. Because we teach an eclectic approach to music, our students are focused on the enjoyment that comes with making music, not necessarily perfect technique. 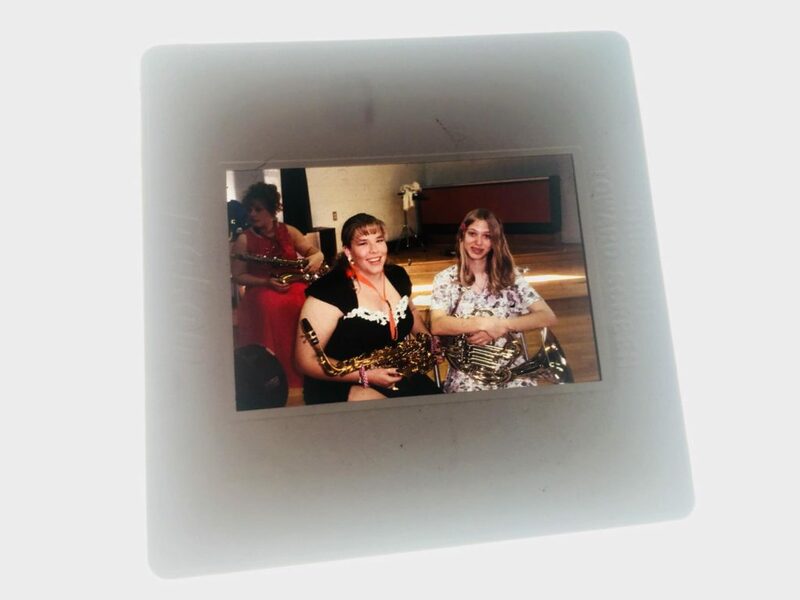 We equip them to fearlessly perform in any situation, whether it’s a formal recital, a gig, a party with friends, or the pit orchestra for the school musical. Part of the joy of music is that it’s communal, and we’d like to think our students are prepared to play or sing something on the spot for their pals, have a special “Happy Birthday” sing along when the moment presents itself, or improvise off the top of their head. We also encourage collaboration among students, and learning to accompany a singer or be in a band is something we love to see our students doing. We work to foster their abilities so understanding music of many genres is an invaluable skill. More than anything, our vision is to help create a new generation of fearless young musicians who love music. Our job is to set the stage for their confidence to shine through. When students have diverse performance opportunities, they learn to thrive in any setting. These skills not only benefit students on the performance stage, however. Fearless performers learn to think on their toes and adapt quickly to changes, they make excellent public speakers because they’re not afraid of a crowd, and they learn that hard work and perseverance is rewarding. The right fit between teacher and student can make or break the musical learning process. Here are a few questions to help you decide if our studio philosophy fits your needs. Do you want to have fun while you’re learning? Great! We do, too. Maybe you wanna show off your mad musical abilities for friends at a gathering? Fantastic! We’ll teach you how. Are you looking for a fresh approach to music lessons? Good. These aren’t your grandma’s piano lessons (or yours as a kid for that matter). Modern it is! Is building confidence part of your life plan? Yes? Come on in, we’re fearless here. Do you want to play or sing music YOU choose? Excellent. Come to the dark side, we have pop and rock songs (and fancy classical stuff, too). Muahaha. But really, you’re *mostly* in control of what we work on. So here’s the deal, lessons in our studio aren’t right for everyone. We know that, and we’re totally cool with it. If you’re looking for a studio where high exam and festival scores are important, this is not the studio for you. If you’re looking for a place where the teachers are literally jazzed about teaching, passionate about helping students learn to be their best selves through music, and having a raucous good time doing so, this is YOUR studio! We teach music lessons in the key of confidence, and that’s a life skill for a lifetime. Come to the dark side, I have some splainin’ to do. 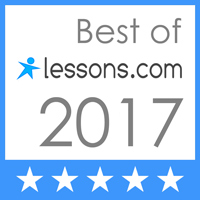 After reading a fabulous blog for voice teachers by Michelle Markwart Deveaux, I decided to pop the top off our studio and invite you behind the scenes to see exactly what your monthly tuition pays for. 15-30 minutes: Phone conversation to establish your needs, find out what kind of teacher you’re looking for, and making sure we can serve you well. 5 minutes: Choosing a time for your first lesson and getting you scheduled in My Music Staff. 15 minutes: Talking with your teacher to make sure they know everything we’ve discussed so they can prepare for your first session! 5 minutes: Sending address to the studio and making sure your Siri can find us. 30-45 minutes: Initial lesson time, finally we get to meet you! Discussing why we don’t worry about makeup lessons (who needs one more thing to schedule anyway?). Collaborating with other teachers and sharing skills to ensure your needs are met and expectations are exceeded. Generally making sure music lessons are the most convenient activity on your weekly calendar. We invest several hours into making sure your very first lesson with us is as amazing as possible. Teaching is our passion, and every single lesson should be a sparkling, glittery example of that! And just think, your first lesson is totally FREE. We work to serve you even if we ultimately don’t make the best possible fit for your needs. When you’re enjoying your favorite latte from the Starbucks next door, it can be easy to forget why that coffee in your hand is $5 or more. Having a business is expensive, so here’s a few (and I use that term loosely) things you might not realize your tuition is paying for. Performing on our own time so we can speak from first hand experience about what it’s like to be “up there”. Paying for our previous educations (we all have music degrees, you know, those snazzy bits of paper nobody cares about? Those). Good grief! That’s a LOT of stuff your tuition pays for! So thanks for that! Without you, we couldn’t create such a spiffy lesson experience and cultivate our beautiful community of weirdos. Teaching is what we live for, and being able to serve your needs every week keeps the inspired fire burning for us. 5 Ways to Make Summer Practice FUN! It’s Summer, and for most folks, that means different schedules, fun family outings, vacations, and summer camps. It can also mean music lesson practice goes right out the window. Let’s face it, the school year routine is just that, the routine we all keep while school is in session. So what do you do when your regular, everyday plans get, um, lazy? Let’s chat, you and I, about how to keep those expensive musical skills sharp while you’re on Summer break. Change it up. Instead of the routine “sit down and practice”, have the kiddos teach YOU something. Let them be your teacher and not only will you have a TON of fun, you just might learn something in the process. Have a sing along. Music is communal, it is tribal, and it’s really meant to be shared with other people (think about the last concert you attended, singing along with 20,000 of your closest friends). Get the family involved and have a sing along at the piano or have a karaoke night on Youtube. Invite their friends over for a concert. Whether they’ll admit to it or not, kids like to perform. Hold a mini concert for their friends, and see if any friends want to perform as well. Not many friends around? Use the next family cookout as a stage. This motivates students to practice but also keeps performance a low key and fun experience. Download some fun music games on your tablet. Practice doesn’t have to take place at the piano. There are tons of great flashcard and theory games available for iPad or Android tablets that are perfect for brushing up skills on car or plane trips. Check out Ultimate Music Theory, Note Rush, or Easy Music. Worksheets. Ask your teacher for some fun Theory worksheets to do over the summer. These might sound boring, but they can serve many purposes like music math, note spelling, music notation, and even music history. Not to mention coloring, did I miss that? Who doesn’t love to color! Now that you’ve got a few ideas for keeping those skills fresh over the Summer, don’t forget to relax your expectations, too. When we adjust our practice habits, we adjust our outcomes. We have all school year to achieve lofty goals, so while we’re enjoying the summer summer summer time (you know you sang that a la Will Smith, or maybe that’s just me) remember to enjoy whatever music is made and have FUN! There are few things in this world more exciting and exhausting as a music teacher than planning and executing recitals. 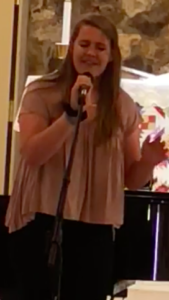 It’s a time when students show off the months of hard work they’ve put in learning songs, a chance to dazzle their friends and families, and to take ownership of their talents. It’s also a really stressful time. Let’s be real. 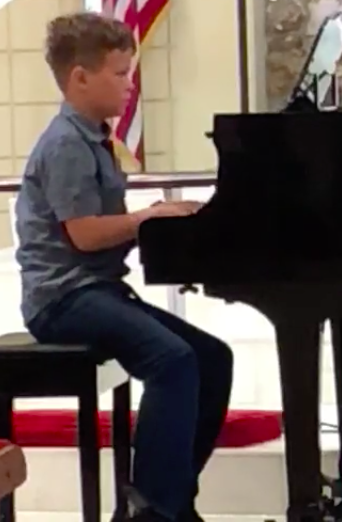 Recitals have long been the bane of most music students’ existence (including mine). They’re scary. We’re not into that here. 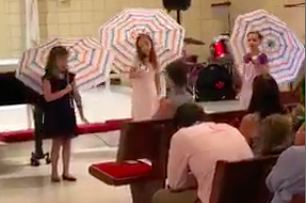 Our students use the recital as a chance to face their fears and send them packing. Some studios may strive for a picture perfect recital program where every song is polished and executed impeccably. That is not how we operate. Perfection isn’t a word we use in this studio, in fact, it’s a word we’re working to abolish, kind of like “can’t”. Some words simply do not belong in our vocabularies. Last Saturday was our largest studio recital ever. We had 22 students performing, with several collaborating on other instruments or singing multiple songs. Our Teen Treblemakers group made their debut along side the Treblemakers N Training small group voice class (with their fearless leader Miss Megan at the helm). 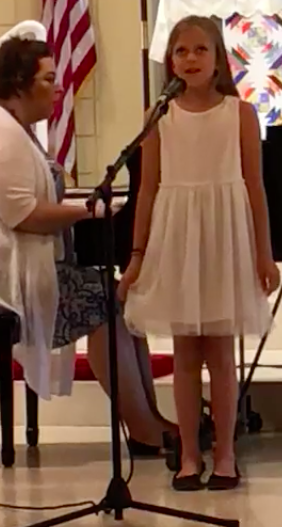 There were five students doing their first recital ever, and showing enormous bravery by doing so (first recitals are terrifying ya know). 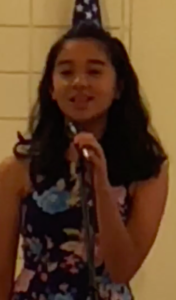 We had the widest mix of genres ever represented on a recital, all chosen by the students. We heard everything from Classical and Romantic period piano pieces to movie songs, Country, Musical Theater, Pop, and American Folk. 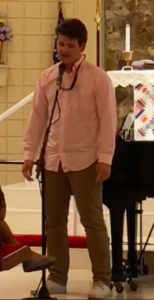 We had accompaniment by guitar, ukulele, piano, karaoke (another first), and a couple students playing to Piano Maestro on the iPad. We embraced our digital world by live streaming this recital on Facebook so families all over the US could tune in and watch their musician. When I talk to people about my “job”, I talk about creating a new generation of musicians who LOVE music the way I do. Ok, well maybe not exactly the way I do because everyone knows I’m literally moved to tears by a certain band who came from Liverpool but shall remain nameless. Anyway, my job is empowering fearless performers who don’t bat an eyelash at recital announcements, musicians who have a broad appreciation for multiple genres of song. I want them to have a soundtrack to their lives that starts in my studio and bursts through the doors out into the world. I want them to to know that whatever song they suggest will be considered because they are empowered to choose their music. Most of all, when they look back on their time in lessons at A Noteworthy Music Studio, I hope they remember the fun we have each week, and the joy that comes from making music together. Recitals have long been the standard for touting the progress of music students. They’re a requirement for taking piano lessons or voice lessons. We did them. If you’re a studio parent, you likely did them. And you probably spent just as much time terrified of performing as us. For. Years. Stagefright…it’s a killer. But, have you seen pictures or videos of kids performing and they’re actually having fun doing it? They’re not a mythical unicorn student, they’re given different opportunities, ones that elicit bright, sparkling smiles. Enter different opportunities. We have completely changed our recital structure from two formal recitals per year to four casual, themed parties and one formal recital in the Spring. We already had an Ice Cream Social to end summer, Cupcakes and Costumes near Halloween, and are gearing up for the Ugly Christmas T-Shirt Party December 17th. The “Meet The Beatles” Concert is in March, and end the year with a Formal Spring Recital in May. Along the way, will be performance labs so budding pianists and singers can dazzle each other in a small setting that’s safe and 100% encouraging. Together, the increased frequency of performance opportunities and relaxed, playful atmosphere give students the chance to literally abolish stagefright and gain immeasurable confidence. You may ask: why do this if formal recitals have always been the benchmark for measuring success? Because elation is the benchmark for success here. Joy. Smiles. Happiness. Excitement. Creativity. FUN. That’s what you see in the videos of enjoying performance. Let’s have what they’re having, shall we? Music, costumes, cupcakes! In celebration of our students’ hard work and the fun of Halloween, A Noteworthy Music Studio recently hosted our first annual “Cupcakes and Costumes” recital. We wanted to give students an opportunity to showcase what they’ve been learning in a fun, low key environment. 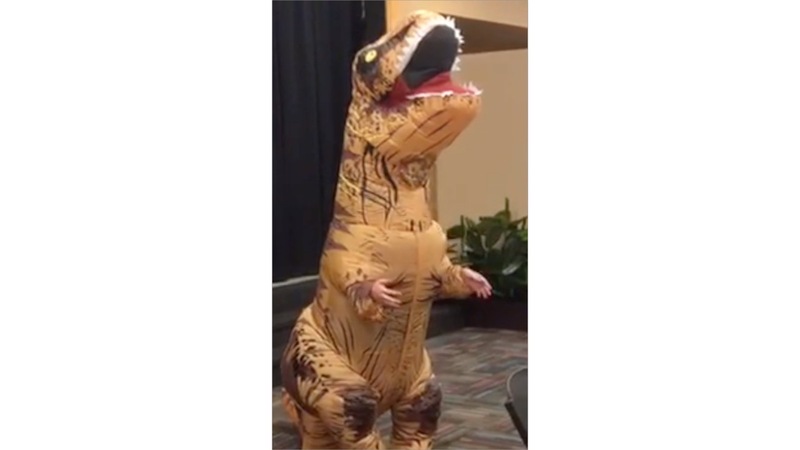 Dressing in costume can help alleviate some of the nervousness that students feel during a performance. 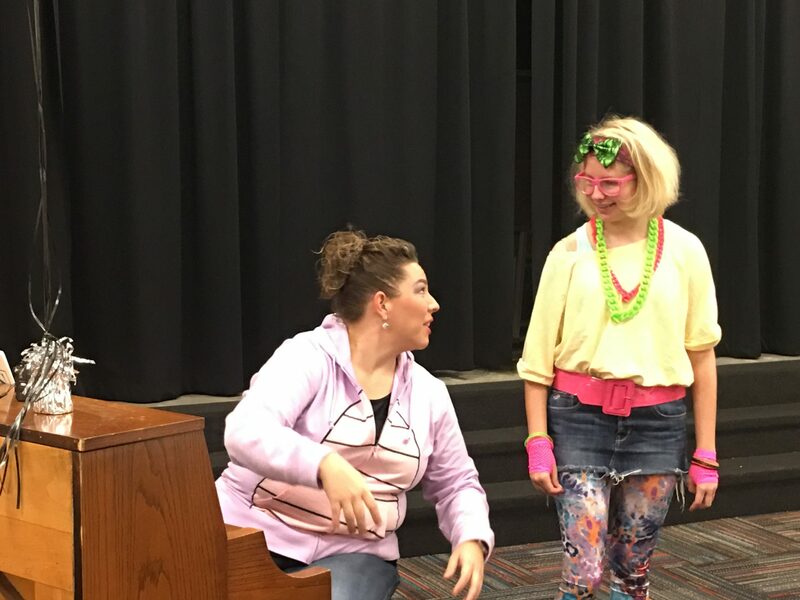 They were able to take on an alter ego as they displayed their vocal and piano talent to adoring fans of friends and family. Some of our students were a bit adventurous in their performance. But really, doesn’t everyone just want to feel pretty?! We had cupcakes. We had costumes. But most of all, we had fun and made beautiful music! A big “thank you” to everyone who helped make the day possible, and especially to the fans of our fabulous musicians!! Explore Creativity. Discover Magic! We have some exciting events coming up! Please join us Friday, October 27th, from 6-7:30PM at Redeemer Lutheran Church for our First Annual Cupcakes and Costumes Party! This magical event includes students performing various musical selections while others are gathering candy to use in decorating their very own cupcake. There is a $5 donation at the door. Please RSVP by 10/25/17 if you plan to attend! 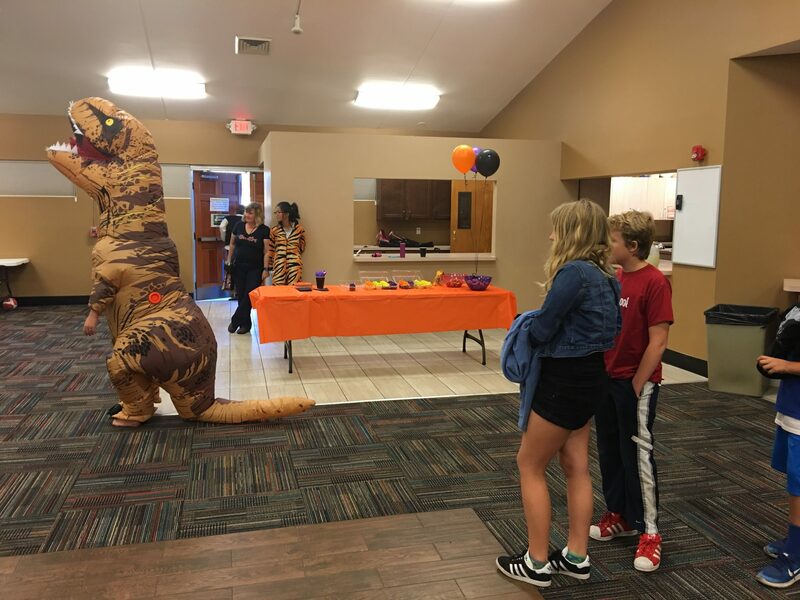 Put on your creepiest costume and join in the candy collection extravaganza from 5-9PM on Halloween at Crane’s Roost Park in Altamonte Springs. 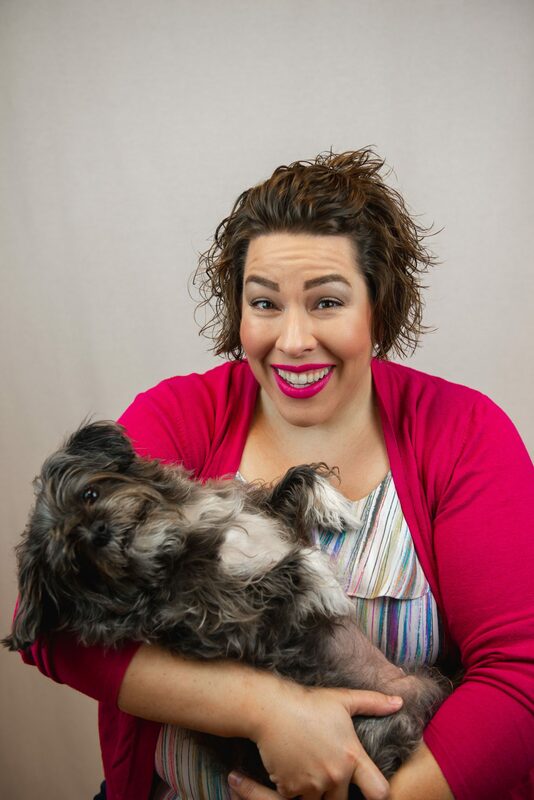 Miss Rebekah will be there giving out sensational goodies and building buzz for our studio expansion! We can’t wait to see you there!